The Xmas gig that nearly broke me. A Xmas selection box of the best punk bands. All different. All brilliant. Interrobang?! 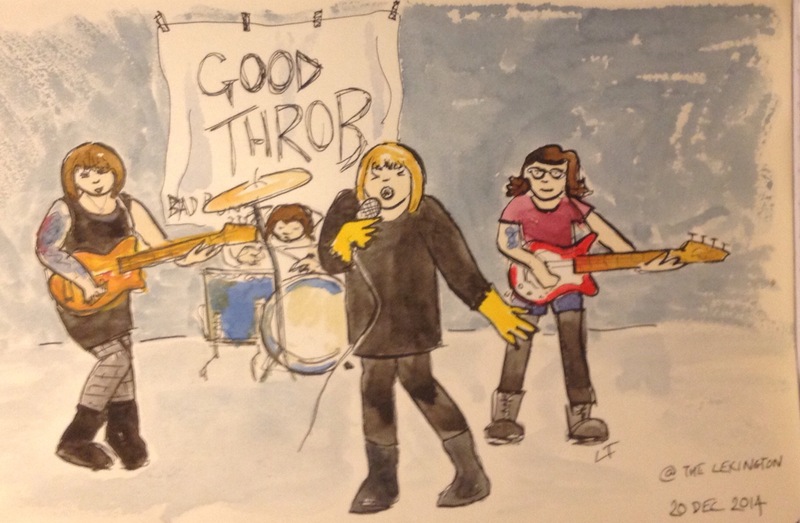 used to be in Chumbawamba, Good Throb are a band that I should have seen before, PKN were charming and have the best drummer, and Hard Skin are the greatest. The DJ that played records in between the bands was crap so we went downstairs to a sea of pissed up office workers in Christmas jumpers.